ooh it is such a pretty cover! I DNFed Raven Boys but have been considering to start it all over again because everyone's enthusiam for this series is totally getting to me! Yay! I absolutely loved this as well and am so excited you did too. I can not wait for the last book. It is going to be tough waiting so long for it to release. It's been a long time since I've read something so immersing. I really need to start this series. Oh SWEET! I cannot wait to break this one open. I so want to dive back into this world. Glad you loved it so much and it really makes me want it more. It's always nice when a book surprises you like that or continue to surprise you. I haven't tried this series by the author but maybe one day I'll because I'm intrigued and curious by everything. great review! No one can convince me to read a book like you, Keertana. :) I still haven't started reading this series, I waited for more books to be published, but I will soon. I feel really bad, as I only read the first book in this series and I didn't end up enjoying it as much as I would have hoped. But I'm glad this series is going strong for you Keertana. 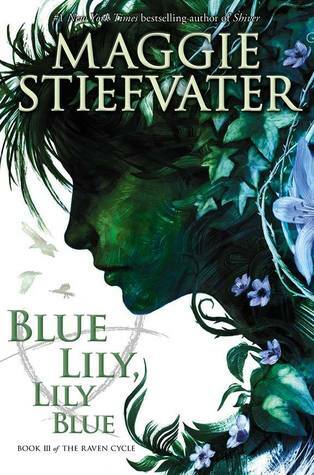 Stiefvater's writing sounds absolutely wonderful! Gah it seems like this series just keeps getting better and better. I really want to read it. I could really use some extra time. I really love this series and am currently reading this one right now! Great review!